Immunolocalization of ABA in Euphorbia pulcherrima Willd. Ex Klotzsch 'Lilo' floder pedicel shoots. Primary antibody used in dilution 1: 100, secondary antibody anti-rabbit IgG-alkaline phosphatase-conjugate (Sigma, USA) has been used at a dilution of 1: 100. 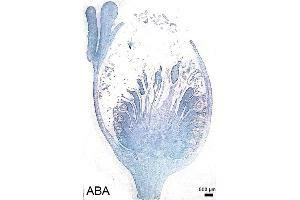 Background Abscisic acid (ABA) is a plant hormone involved in different physiological responses as stimulation of the closure of stomata (water stress brings about an increase in ABA synthesis), iInhibition of shoot growth, and many others. 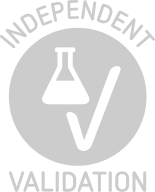 ABA shown to have both inhibitory as well as many promoting functions.